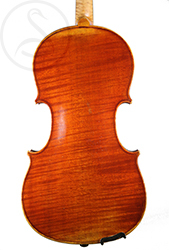 The Silvestre family were at the heart of French violin-making in the 19th century, with strong connections to Gand and Vuillaume – to my mind HC Silvestre was the most successful maker in the family. 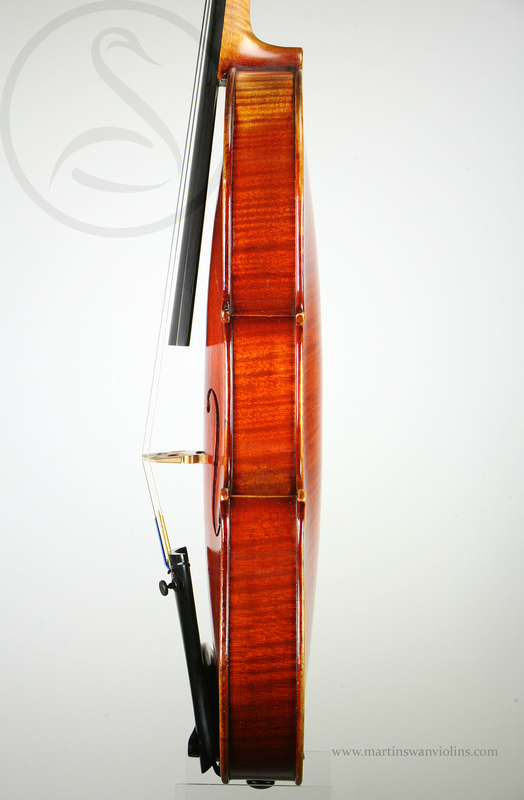 Here we have a beautiful HC Silvestre in near-mint condition and with a top-class concert sound. 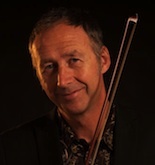 I could count on the fingers of one hand the violinmakers whose instruments I would dare to buy without playing them first … probably top of the list would be HC Silvestre! 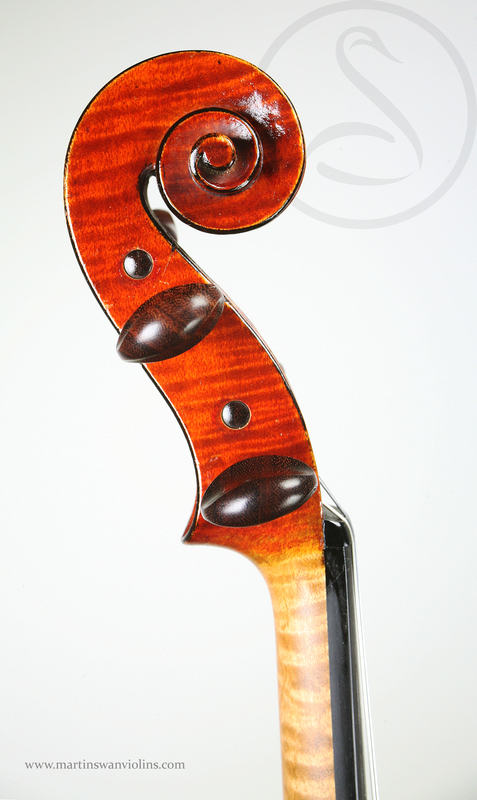 The extraordinarily talented and industrious nephew of Pierre Silvestre, he took over the family firm in 1865 and made superb instruments incorporating all the accumulated knowledge of his uncles Pierre and Hippolyte. This violin dating from 1876 departs crucially from Pierre Silvstre in the lightness of build and a slight flattening of the arching. The work is very crisp and refined, showing a high level of skill and artistry. The condition is faultless with no cracks or damages. 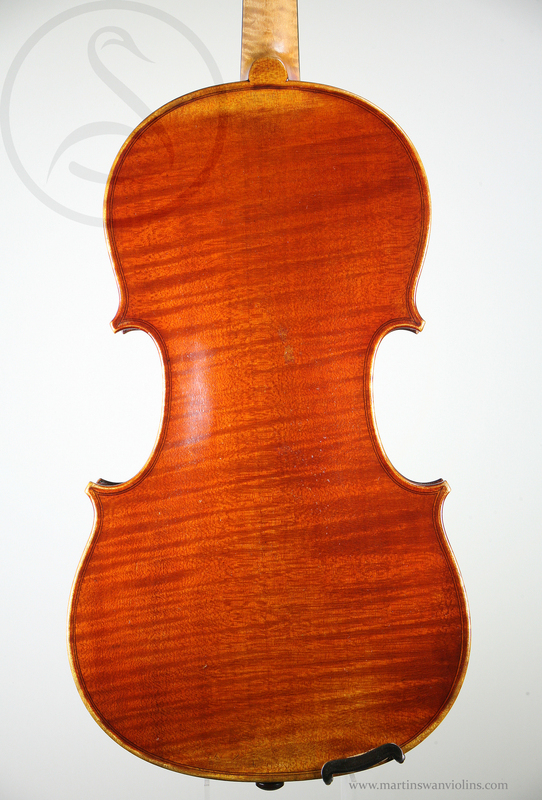 There’s some minor varnish wear to the upper left shoulder – evidence of some extensive use in an orchestral context – and there are a couple of bruises, but overall it’s in unusually fine condition. You may have gathered that I’m a big fan of Silvestre! The sound is typical – a big, reedy Strad sound, refined yet muscular, clear and bright but with just enough colour to really inspire. The balance is exemplary from bottom to top, and the middle strings sing out beautifully – very even response, plenty of kick to the start of the note, and a smooth buttery legato. Best of all, the sound remains musical and compelling at all dynamics – whether a whisper or a crushing bow right next to the bridge. 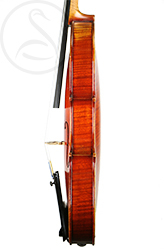 In other words, a great violin for a serious professional, and one of the best examples we have seen from this outstanding maker. 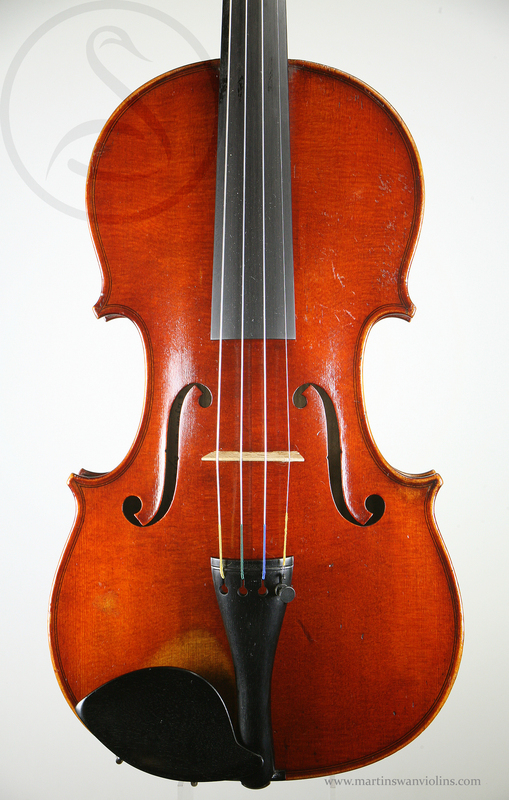 Interested in this Hippolyte Chrétien Silvestre Violin?